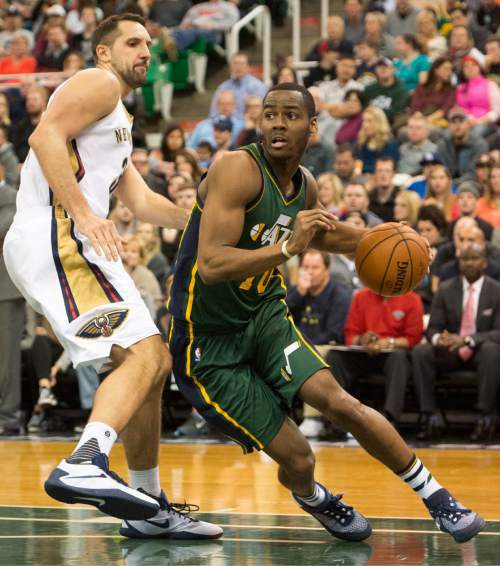 Barring a setback, injured Utah Jazz shooting guard Alec Burks will make his return to the lineup as early as Tuesday night against the San Antonio Spurs, league sources tell The Salt Lake Tribune. 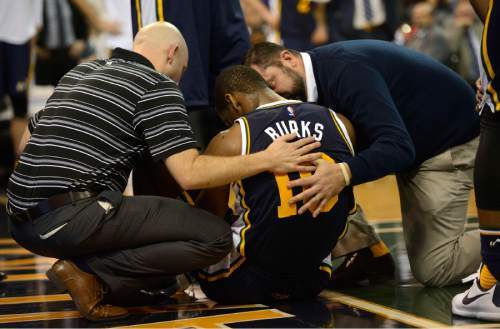 Burks has been out since late December with a broken fibula that he suffered against the Los Angeles Clippers. Burks underwent surgery in early January, and has been out since. The Jazz have been cautious with his return, wanting to make sure he is 100 percent healthy and that there is no risk of re-injury. He&apos;s been slowly doing more from a basketball standpoint, and recently has been playing full contact 3-on-3 in a halfcourt setting. When Burks does return, it&apos;s likely he will do so on a minutes limit. Still, he will give the Jazz a shot of energy off the bench. As Utah&apos;s sixth man, he was having a career season before going down, averaging 14.3 points, 3.6 rebounds and 2.1 assists per game. 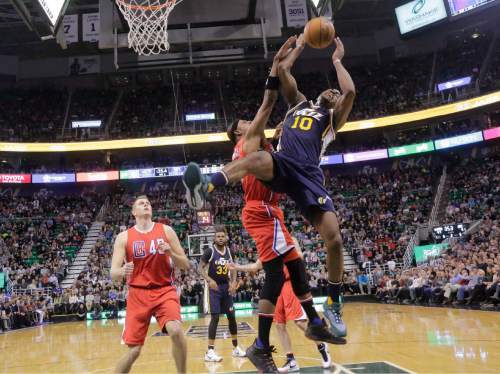 He was also an integral part of Utah&apos;s triple-wing alignment, featuring Rodney Hood and Gordon Hayward. 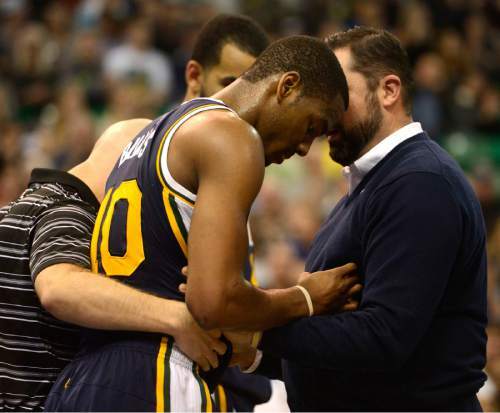 "There&apos;s a jump between being OK and healed an being able to compete at a high level," Jazz coach Quin Snyder said Friday, as he gave his daily update on the team&apos;s sixth man. Burks has been participating in some on-court activities during "controlled practices." 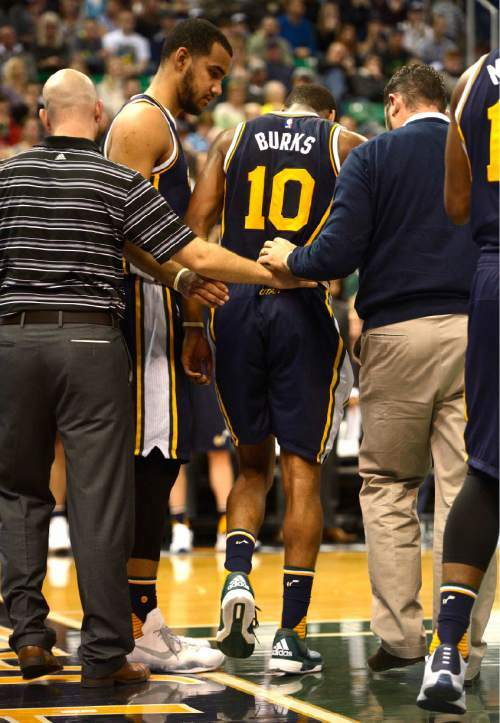 Meanwhile, Jazz continue testing Burks&apos; body  "everything from his balance to asymmetry in his legs. Is one stronger than the other?" "There&apos;s a point where it&apos;s not wise for him to go out until he&apos;s hitting some watermarks," Snyder said. "The progression includes everything from shooting, lifting, jumping, cutting, to playing one-on-one, playing three-on-three and he&apos;s at a point where he&apos;s much further along in the process, but we can&apos;t say he&apos;s there or that he&apos;s going to be ready for Phoenix [on Sunday]. That&apos;s basically the process that we&apos;re in the middle of and it&apos;s been ongoing since our doctors said his ankle&apos;s healed, but that doesn&apos;t necessarily mean that he&apos;s cleared to play." 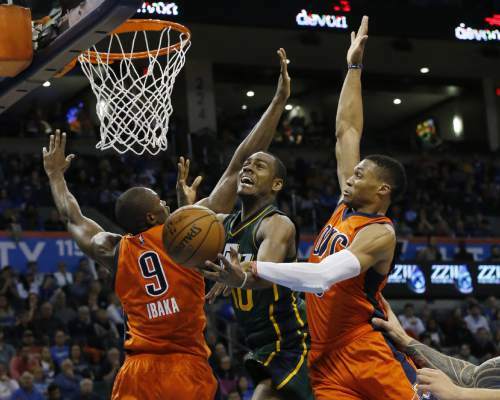 The Jazz face the Phoenix Suns on Sunday afternoon. They are currently tied for the eighth and final playoff spot in the Western Conference with the Dallas Mavericks. Aaron Falk contributed to this report.